After their marriage, Robert and Rose Gitau began to serve God by travelling to different villages preaching and helping the poor. Eventually they bought a small plot of land in Nguluni and launched a small church. The church began to grow and they started to not only help the community with spiritual needs but to help economically and physically as well. Robert and Rose adopted many children whose parents had died from AIDS or who had been abandoned. As the number of children they were looking after grew, they built Forward Green Hostel on their property. Currently there are 21 children living in this hostel. The hostel is registered with the government and Robert gets a token amount each month per child up to a certain age but this does not come anywhere near covering the costs of the children or operations. There is a full time, trained social worker living with the children. BHW personnel first met Robert in 2002 at a conference. It was very obvious from the first visit to Nguluni that Robert and Rose were key people and making a significant contribution to their community so an application was presented and accepted to commence funding. This commenced in 2003. 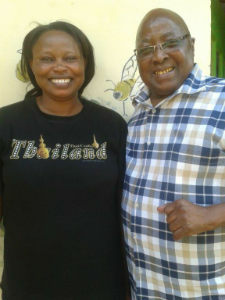 Over the intervening years Robert and Rose have continued to develop Nguluni Countryside Education Centre (KEN03a), initiated a micro-loan programme (KEN03c), put down a new borehole, set up a health clinic, and established a fish pond and a greenhouse for growing vegetables (KEN03d). The one main church has also planted other smaller churches in surrounding communities. As the ministry continued to grow, more leaders were brought in and in 2014 a restructuring process was started to more effectively manage the various aspects of this partnership. Previously some funds were being provided to assist the children living at the Forward Green Hostel as part of BHW's partnership with Nguluni Countryside Education Centre. In late 2016 it was decided to separate the two and commence a new partnership directly with Forward Green Hostel. The direct beneficiaries here are the children living at the hostel, and in particular those who attend Nguluni Countryside Education Centre. These children have come from desperate situations and despite his lack of financial resources Robert has taken them in and provided them with a home, food, education and love. Robert has a vitality of life and genuine love for the children. Robert and Rose were physically childless but they have as many 'children' as it is possible to imagine. Wherever you go in Tala people call out “jambo” to Uncle Robert. Unfortunately Rose passed away in 2014 but Robert has since remarried (Theresa) and they continue to care for these children. 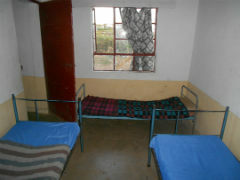 The children living at Forward Green Hostel are very vulnerable. Robert and Theresa's vision is to provide these children with a loving, caring family environment, providing the basic necessities for life in addition to an education which gives them hope for the future. BHW's annual budget here helps cover the education costs for the children who attend Nguluni Countryside Education Centre. An initial three-year commitment has been made (starting 2017) and we will continue to work with Robert to develop various income generating activities to help financially support the hostel into the future. 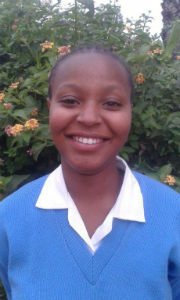 Mercy is 19 years old and is in her last year at secondary school. She is a confident girl with a big smile. Her parents separated when she was about two years old and she stayed with her father. He then abandoned her and her two older brothers when she was just three. Robert and Rose heard about her situation and brought them all to their home. They have cared for and educated them all. Her two older brothers now have jobs and one is married. Until this day she has not seen her mother. Occasionally her father visits but only stays for a short time. This is very disappointing as she looks forward to seeing him and the short time he stays continues to make her feel like she has been abandoned. He doesn’t stay long and doesn’t know how to show her any love. Mercy calls Uncle Robert her real Dad. And Mama Rose was like her real Mum. She misses Mama Rose a lot since she died. 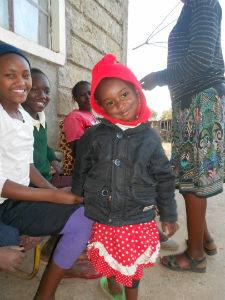 Her favourite subjects are biology and business and she wants to study medicine and graduate as a pathologist. She wants to study the body and the effects of death. This will take seven years of study and she is hoping to get a scholarship to assist with her course fees. Mercy became a Christian this year and was also baptised. Before this she struggled with being very sad. She felt alone and that the teachers and students were unkind to her. Psalm 116 is one of her favourite chapters in the Bible to read. Knowing that God loves her, and hears her cry and supplies her needs is very comforting and encourages her a lot. When she feels sad she reads her Bible and prays and this gives her reassurance of God’s love and his peace and she trusts him.